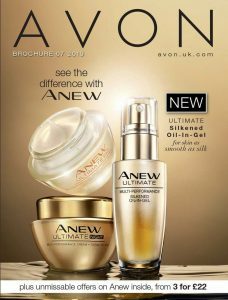 Home » Avon Product reviews » Anew Instant Eye Smoother – have the perfect eye day! Dreaming of the perfect eye day? Well, dreams can come true. The perfect eye day is just seconds away! Say hello to our Anew Instant Eye Smoother, selling one every minute since day of launch*. An under-eye cream that works to help banish the look of under-eye bags, puffiness and wrinkles – in just seconds*. Plus it lasts all day, leaving you looking fabulous from morning to night. 2. gently tap (don’t rub) into your skin to form a very thin layer – it will dry in seconds! See the look of under-eye bags, puffiness, and wrinkles virtually disappear. WORKS IN SECONDS, LASTS ALL DAY! Share your before & afters. This instant cosmetic treatment creates an invisible, weightless film on the skin. Whether you’ve had a late night, been working too hard or feel your eyes are ageing you more than you’d like then this is for you! Anew Instant Eye Smoother works on tired puffy eyes from morning to evening.